IIT grad who was friends with Bill Clinton is now treading the road to redemption. In the tiny world of India’s privileged elite, everything is circular. You can come right back to where you began. In the case of Rajat Gupta, former globetrotting managing director of consulting giant McKinsey & Company, a former director of Goldman Sachs and Procter & Gamble, general do-gooder, and recent inhabitant of various American detention centres, it is to the warm embrace of the Ananda Bazaar Patrika family. His father Ashwini Kumar Gupta was sent to Delhi to set up the Capital edition of the now-defunct English newspaper Hindustan Standard. The then-editor in chief Ashok Sarkar’s grand-daughter Chiki is now publishing Gupta’s memoirs under her imprint, Juggernaut. Out in early 2019, she says it is “deeply honest, emotional and moving”. 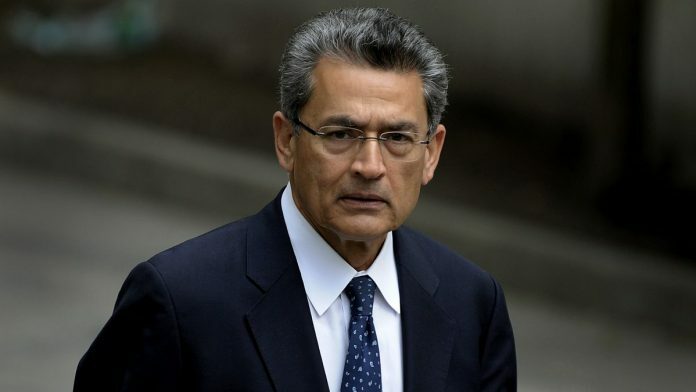 Since serving his prison sentence for divulging corporate secrets to Raj Rajaratnam, the hedge fund titan indicted for insider trading, Rajat Gupta, 70, has been treading the long, hard road to redemption. From a rock-star welcome in Hyderabad at the Indian School of Business (ISB) he co-founded to a special invitation from old friend Prakash Padukone to his daughter Deepika’s wedding to fellow actor Ranveer Singh, from affectionate but low-key meetings with former prime minister Manmohan Singh to quiet coming-home parties with CEO friends, he has been finding his way back into heart of an exclusive club that was once proud to call him a member. He has found particular warmth among IIT alumni, for whom he remains a hero – he was the first chairman of the global IIT organisation PanIIT, which was set up in 2001 with the goal of giving back to India. Their affiliated organisation, Wheels Global Foundation, is one of the few organisations of which he is still a chairman. At its annual fundraising gala at The Pierre, Taj New York, in 2017, more than 300 entrepreneurs, business leaders, scholars and dignitaries raised $2.4 million for the opportunity of a one-on-one with Gupta. But will he, a former convict, ever again attain the heights of the past when he was friends with Bill Clinton at whose initiative he started the American India Foundation, was handpicked by Bill Gates to be on the advisory panel of the Bill & Melinda Gates Foundation and on the board of The Global Fund to Fight AIDS, Tuberculosis and Malaria and was a regular at the World Economic Forum’s annual meeting in Davos, Switzerland? A product of the Nehruvian education system that created managers for the world, hyphenated graduates of IIT-Harvard Business School, he was at home everywhere, out of place nowhere. He could be the suave businessman with the Hermes tie glad-handing world leaders or the Bengali babu in kurta pyjama, eating roganjosh and rice, a taste he developed over the years of his marriage to fellow IIT Delhi student Anita Mattoo. Two years junior to him, they first met in 1968 while performing in a one-act play and both reeling from the recent deaths of their mothers. They were married in 1973, when he returned from Harvard Business School and she graduated from IIT Delhi. His relationships across the board, from industrialists to governments, were unparalleled, as was his ability to translate these into vast amounts of money that could be deployed for the greater good. He built two world-class institutions in India, the Indian School of Business with its aim of creating world-class management graduates, and the Public Health Foundation of India (PHFI), a public-private partnership aimed at creating public health professionals and strengthen research in India. For PHFI, an initiative he was persuaded to lend his time and energy to by Barry Bloom, Harvard professor and global health pioneer, he raised almost Rs 80 crore from friends such as venture capitalist Vinod Khosla, HCL founders Shiv Nadar and Arjun Malhotra, philanthropists Uday Khemka and Rohini Nilekani – the central government raised Rs 65 crore while the Gates Foundation put up Rs 65 crore. It is precisely this character that was Gupta’s greatest asset. Whether it was handling his family affairs – he has three siblings – after his father died when he was 16 (his mother died barely three years later) or travelling across the world opening doors and sealing partnerships to make a difference to India’s public health and education system, he was more than merely the first Indian-American to become the CEO of a global major. He was a man who had a vision of transformative change, setting up two institutions of note. So much so that at one point no less than N.R. Narayana Murthy had compared him to Jawaharlal Nehru in an article in Business Today. Also read: Are poor corporate ethics giving Indian capitalism a bad name? His CEO friends in India are invested in him partly because he invested in them, emotionally, intellectually and financially. It wasn’t merely the advice his consultancy McKinsey & Company offered to companies run by them. In some cases, the relationships became more personal. Among the letters pleading for leniency initially, one from alternative healing guru Deepak Chopra revealed that Gupta had invested $250,000 in his daughter’s failed Internet start-up, and never tried to recoup the money. The closest among these good friends was Anil Kumar, his former protégé at McKinsey, who cooperated against Gupta and got probation for giving Rajaratnam inside tips himself. Equally, his wife may have been referring to Rajaratnam, a flamboyant Sri Lankan with a penchant for smoking pot and throwing wild parties. Always an odd choice of friend for the sophisticated Gupta, the two fell out in 2008 after Gupta lost his entire $10 million investment in a fund run by Rajaratnam. Honest mistake or fatal flaw? That was the time Rajat Gupta was the toast of America’s corporate elite. 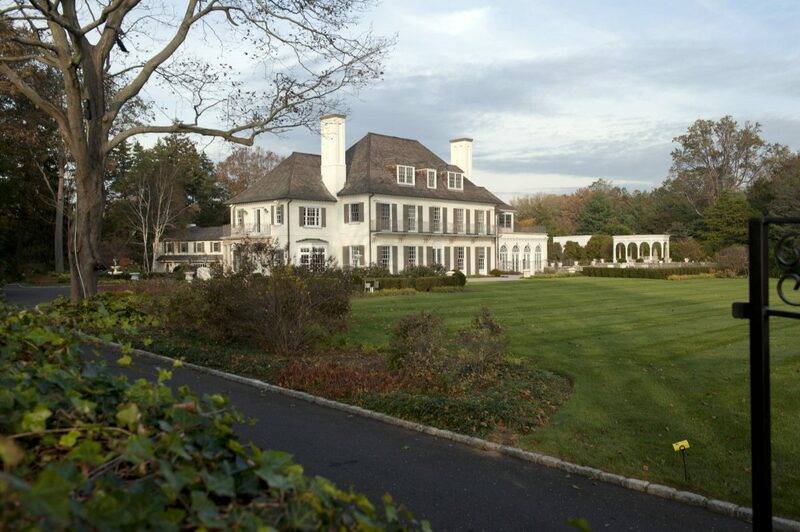 He had a mansion in Westport, Connecticut, originally built by the mogul J.C. Penney, on a five-acre estate. He had a jet-setting lifestyle, four beautiful and accomplished daughters and additional homes in Colorado and Florida. His eldest daughter Geetanjali’s wedding to Nigerian ophthalmologist Chukwuemeka Nwanze was dubbed by some as the “wedding of the decade”. There were few doors to which he didn’t have a magic key. While sentencing Gupta in court in 2012, Judge Jed S. Rakoff said of Gupta: “He is a good man. But the history of this country and the history of the world is full of examples of good men who did bad things”. Was it an honest mistake, a fatal flaw in his character, which could be just billionaire envy, or simply circumstantial evidence that trapped him? Management guru Nirmalya Kumar believes it was a clear case of Gupta feeling “why should people not as smart as me make more money than me? I never feel that. I chose to be an academic and it makes me happy even if one does not get rich being one”. Gupta has failed in his effort to be reinstated in the McKinsey alumni directory, but in June this year, he and Deepak Chopra were invited to address the second annual IIT Bay Area Leadership Conference at the Santa Clara convention centre in California. Gupta spoke about the “extraordinary last six years”, adding “while I continue to fight the injustice in my case, I have to candidly admit that I made errors and misjudgments, and for that I take full responsibility”. So perhaps this is his happily ever after? Modern School’s Rudra Award winner for student of the year for “most outstanding qualities of heart and mind” can claim that both are finally in alignment. Now, if he can only be satisfied with that. Gupta is just an agent of some firm.. never created wealth or employment for the world.. just moved it… and never invented anything… an employee who waited for his paycheck. Why are we supposed to respect him? This article is good PR for him and most likely paid for. Its shocking to believe that elite of Corporate believe he did a mistake. Ridiculous. After a board meeting you call up and inform some one about the meeting is blasphemy in investor parlance. Is it that Mr. Gupta is trying to build something in India by using PR tricks. I think next time you meet the so called IIT-Harvard or any other management degree holder: Beware. I think this article started nicely but ended showing the softer side. End of the article could have been handled in a better way. Soft or hard–article is PR work and dishonest. More than Harvard/IIT, its the elitist, rich, entitled background that spoils character. Most trustworthy people generally come from a deprived childhood –who made it big. It may be that most people from the elite families do end up at those institutions anyway. This is absolutely absurd. If a person steals RS. 10,000/- in India, he can go to jail for years while his case is still being heard in court. Whereas here, our man has committed millions of dollars worth of financial crimes and we’re saying “when you see his suffering, you understand karma”. Have some shame. The author a was the editor of India Today. But this seems to be an experience that did not include any interaction with the real India. People are in jail for committing crimes because they were starving and poor. Here you are, using your expensive education to defend a guy who is still a multi millionaire for stealing money. Because he wanted to flaunt it to his friends. Terrible journalism. If it can be called that. When an elephant falls , it is difficult to stand up 🙂 . Well, giving someone a FINITE punishment is itself like giving the person a second chance. Every convict gets it, so why not him. The cause of his fall lies in this statement ‘hubris…However much you say that you will not fall into the trap of it, you do fall into the trap of it.” Ultimately we are just human. He was neither the first, nor will be the last. While in old times, and even now in many autocratic societies, the elite get away with far worse crimes. Not so in modern law driven societies, where a person who is even slightly on the wrong side of law, pays the price, many times a heavy price. The system shows no mercy. However, how should redemption take place? Is redemption a consequence of endorsements from loyal friends or one’s ability to re-network again? Ideally, for many crimes, and especially where the human tendency to “fall into the trap of it” is much more explicit and evident, the punishment should be manual community service. For example, it could be to carry out sewage drain repair work for 1-2 years in places like Dharavi or the slums of Rio. That’s where hubris will get destroyed…completely. Otherwise, it could just be homecoming. The Print is an Indian online news portal. May I know how is this article relevant here? ISB & PHFI have nothing to do with the common man in India. I am a physician and very well know how much work PHFI actually does and I know of several colleagues who are settled in USA, who were disgusted with the workings of PHFI, when they wanted to join. As far as I know, there is not a single ground level clinician in India who works with PHFI.